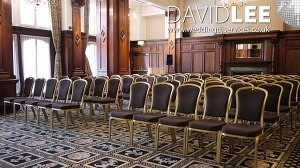 The Midland Hotel Manchester City Center, is officially the the most visited venue by me. 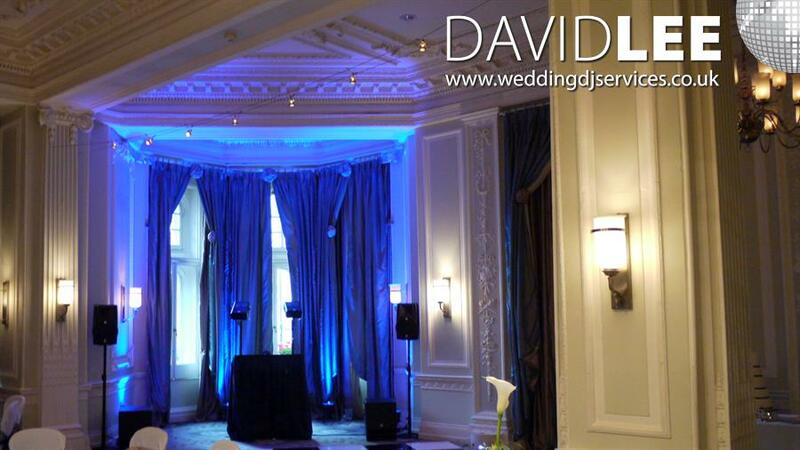 I have performed more times as a Wedding DJ in the various suites at the Midland Hotel Manchester than any other wedding venue. 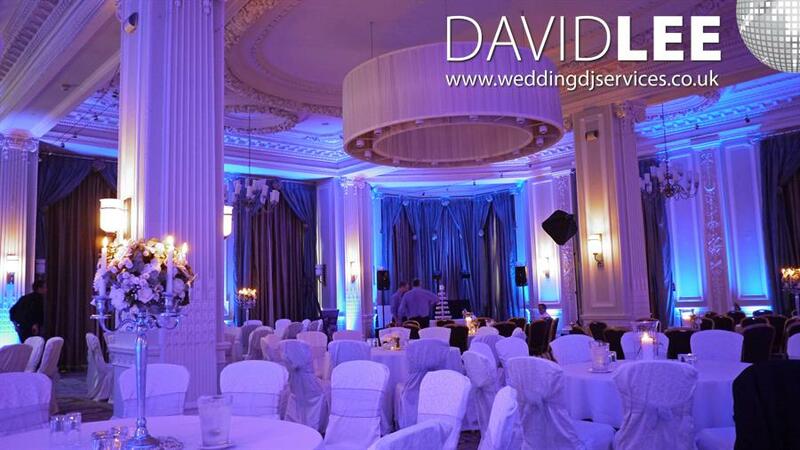 Even thou it’s a right royal pain to load in & out off, like most Manchester City Center Wedding Venus tbh, I always enjoy the weddings I have performed at here. 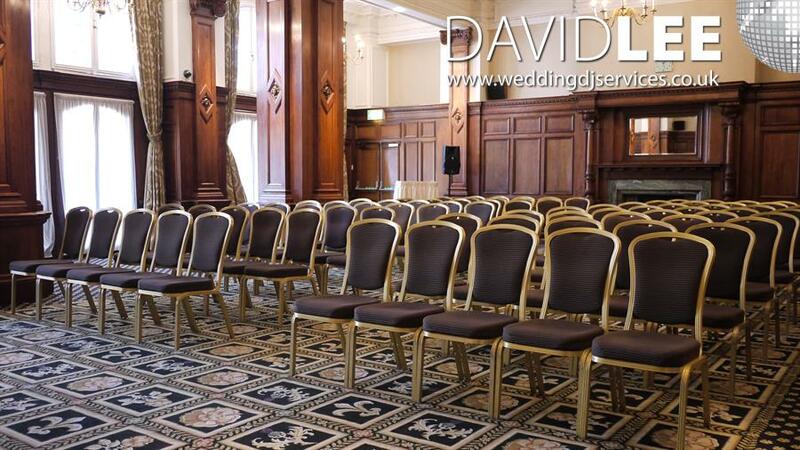 There are a suite of rooms upstairs which are ideal for the smaller gatherings. 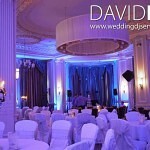 I have performed at a couple of weddings in these rooms, some pictures below. 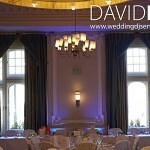 And the other main room for weddings is the Trafford Suite which is on the ground floor. 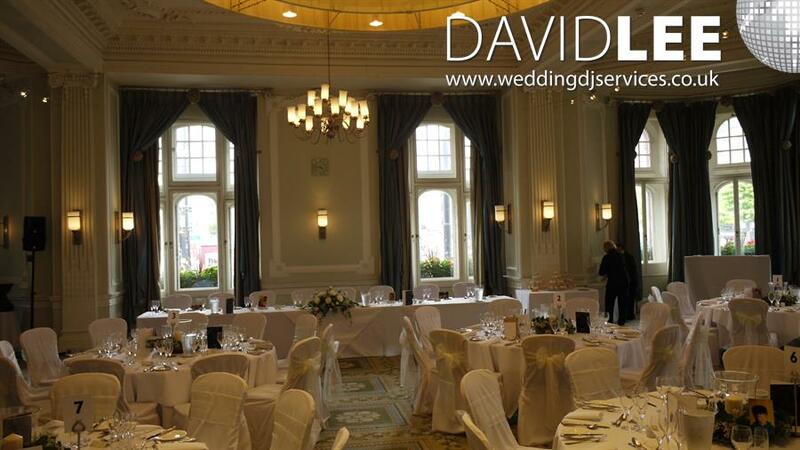 This room just says grand, with ornate wall furnishings and makes for a stupendous venue for your wedding. 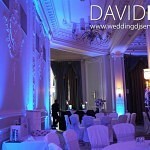 And it really comes alive when adding my uplighting to it as well. 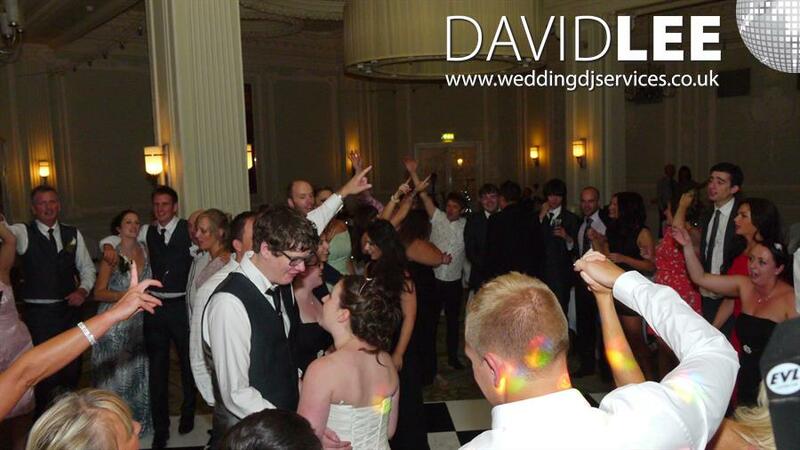 Looking for an all day DJ ? 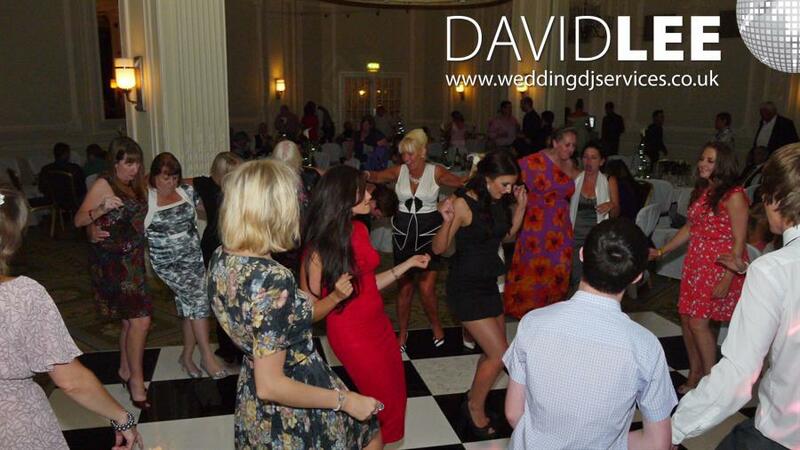 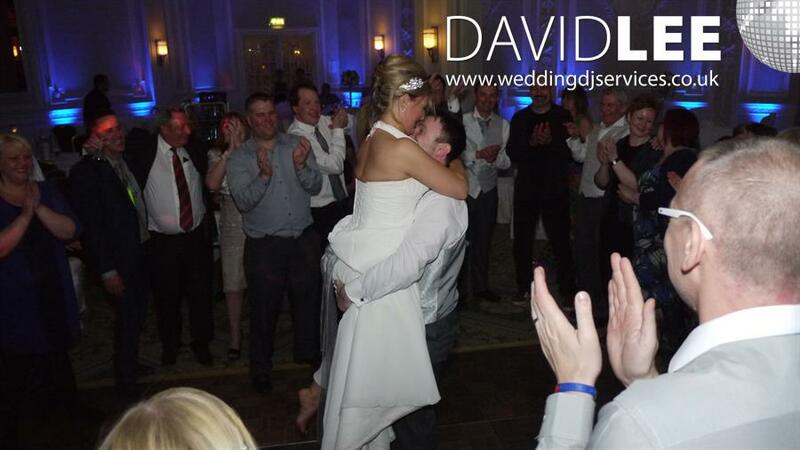 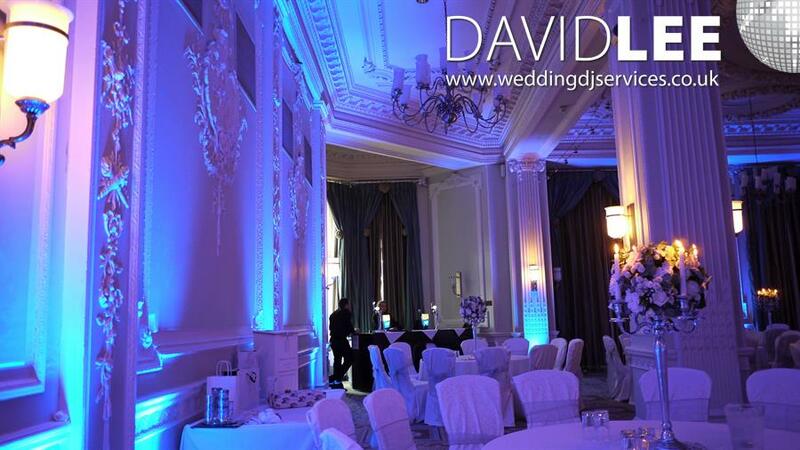 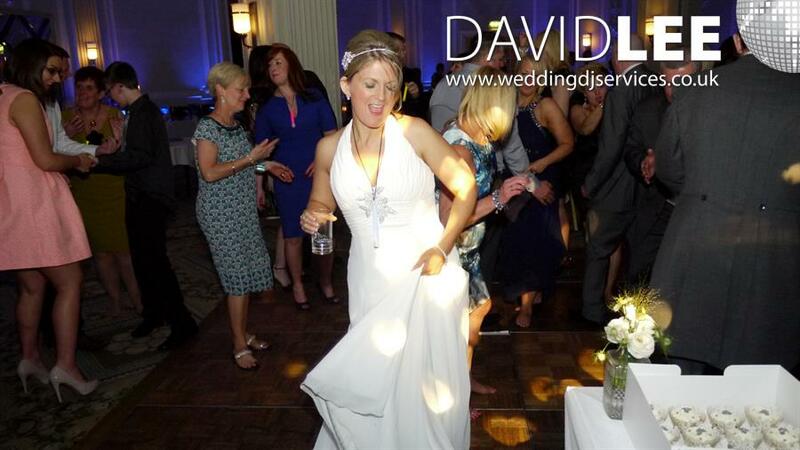 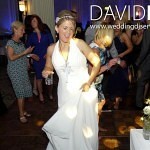 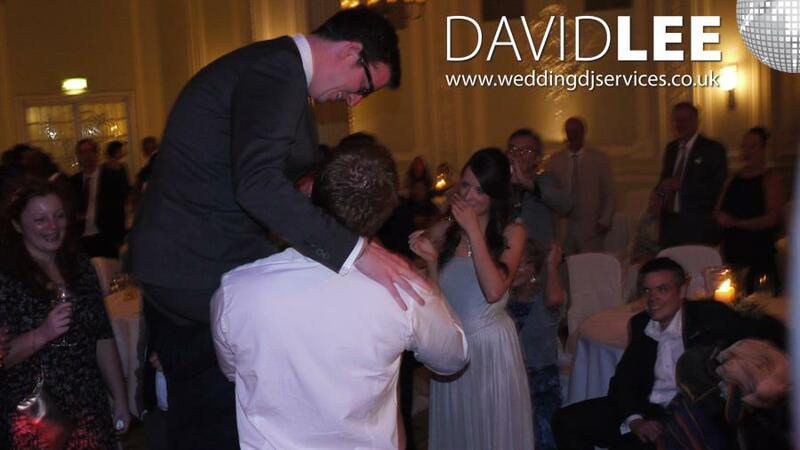 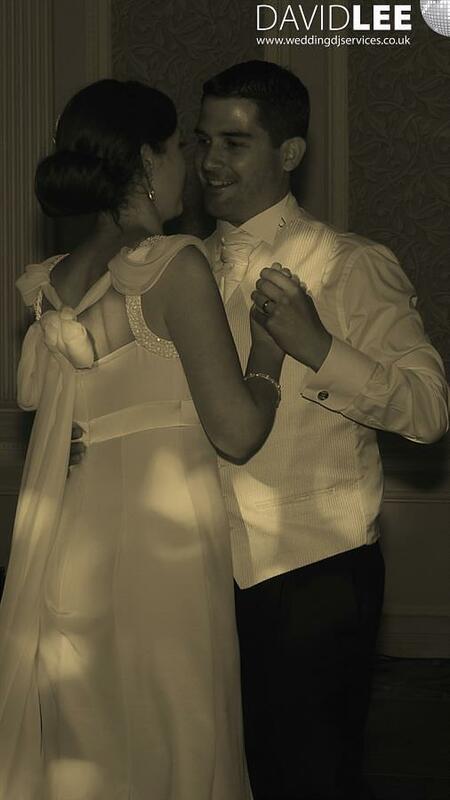 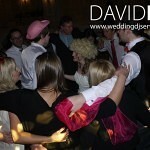 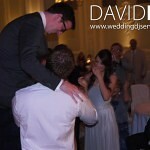 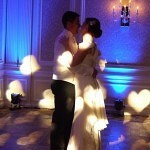 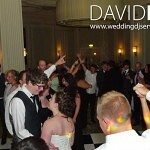 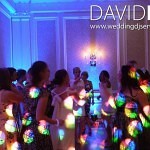 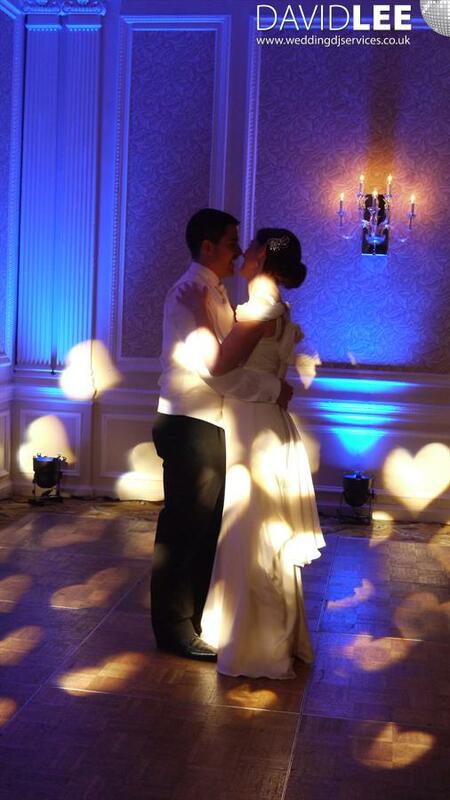 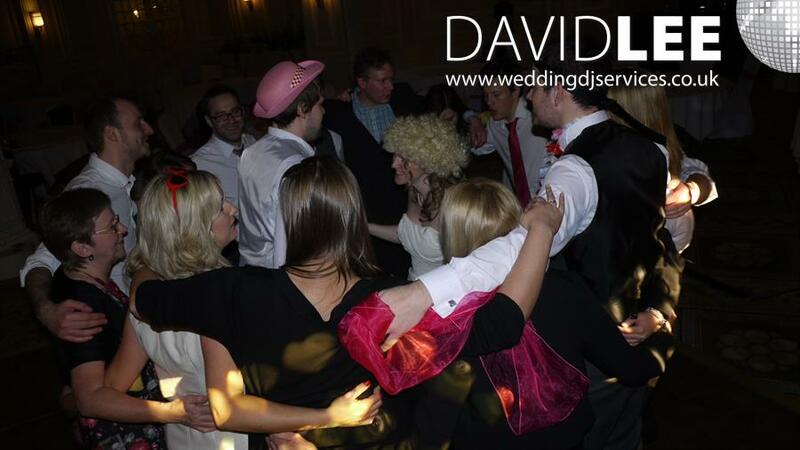 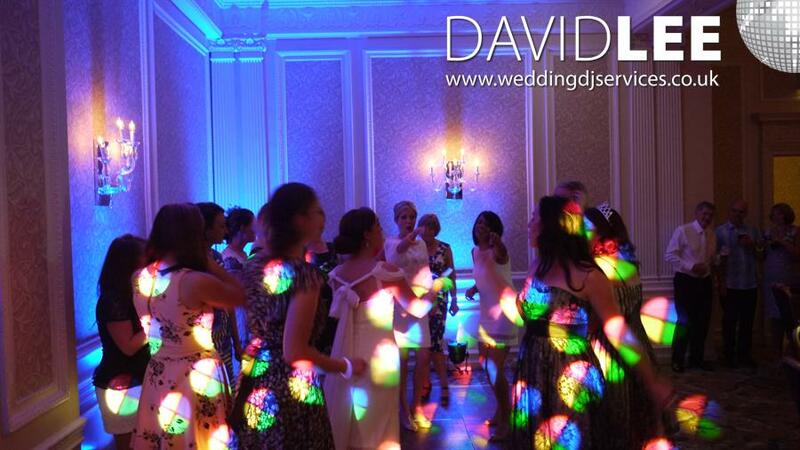 I have supplied the wedding DJ ceremony service here at the Midland Hotel Manchester as well. 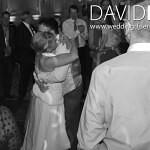 With the appropriate musical choices from the bride for all the special moments they wanted, all faded out, and started at the correct moment to give those memorable moments a bigger impact and meaning. 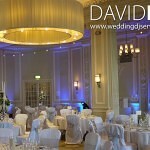 The Wedding Breakfast service package has proved very popular in the Trafford Suite. 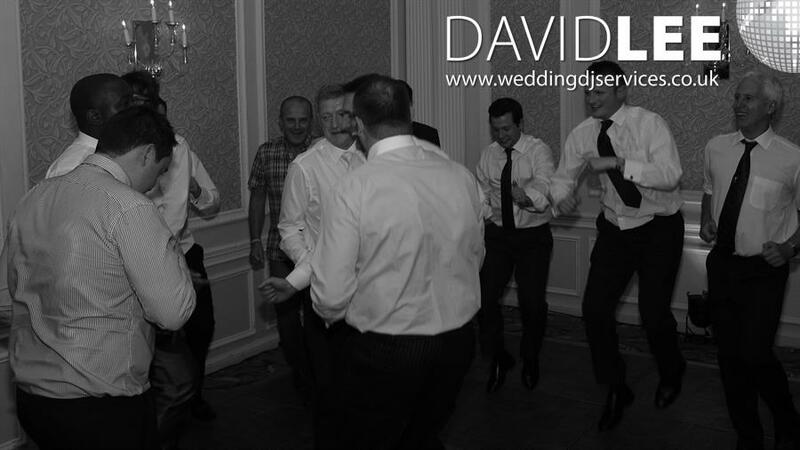 Because the room is large, having a bit of background music really helps create a nice ambiance, instead of just the noise of cutlery on crockery. 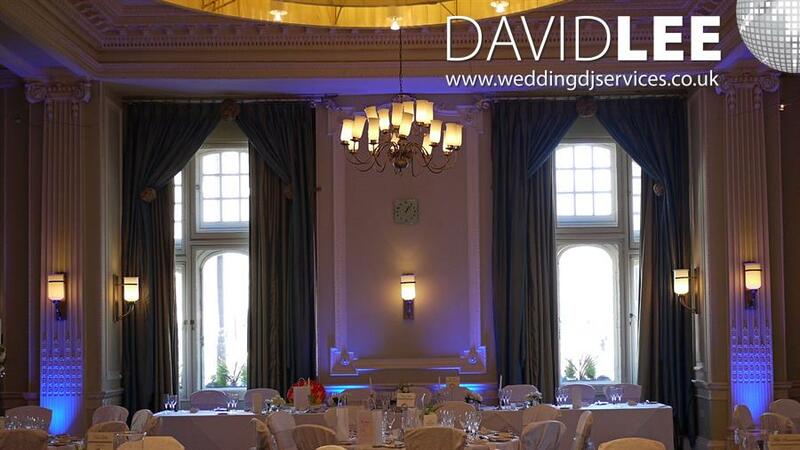 Also, as the Trafford Suite has a high ceiling, my wedding breakfast package include wireless microphones for those all important speeches. 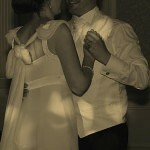 This way no one misses those specially chosen words and wonderful stories spoken by the wedding table. 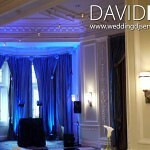 With the speakers spread around the room, they don’t need to be turned up loud for everyone to hear! 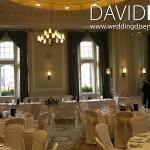 I’ve always had a great time at the Midland Hotel Manchester and more importantly so have my clients and their guests. 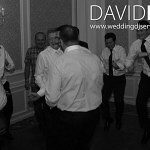 I have included ‘a small selection’ of pictures form various weddings in various suites, but my small selection is the biggest collection on my website for 1 particular wedding venue! 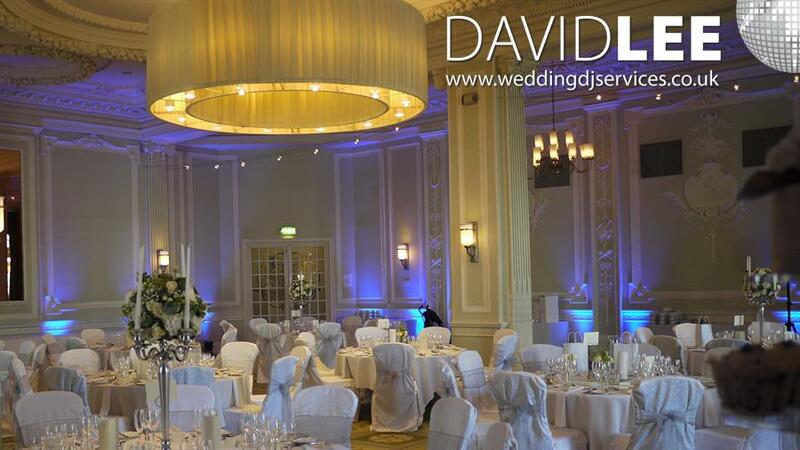 So if you are looking for your Wedding DJ for your wedding at The Midland Hotel Manchester, Have look through the pictures, and get in touch with any questions you may have. 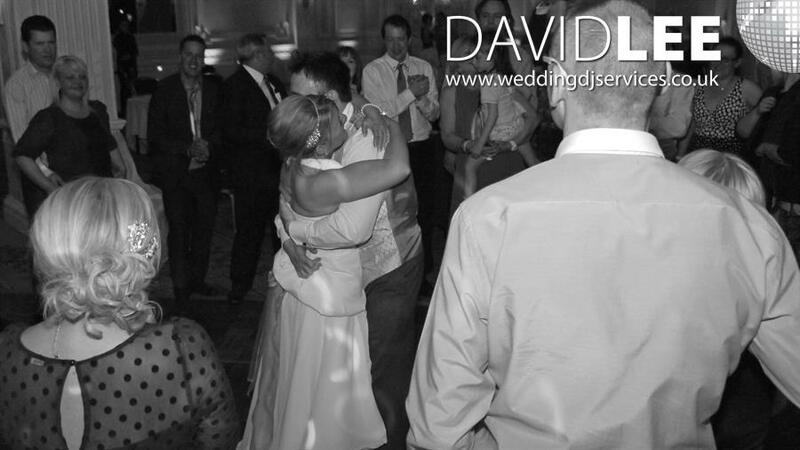 I look forward to hearing from you.